Beautiful villa with wonderful view on Sivota gulf. Very clean and plenty of space for a family with 2 children. Just 2 minutes by car from the village. Excellent location. 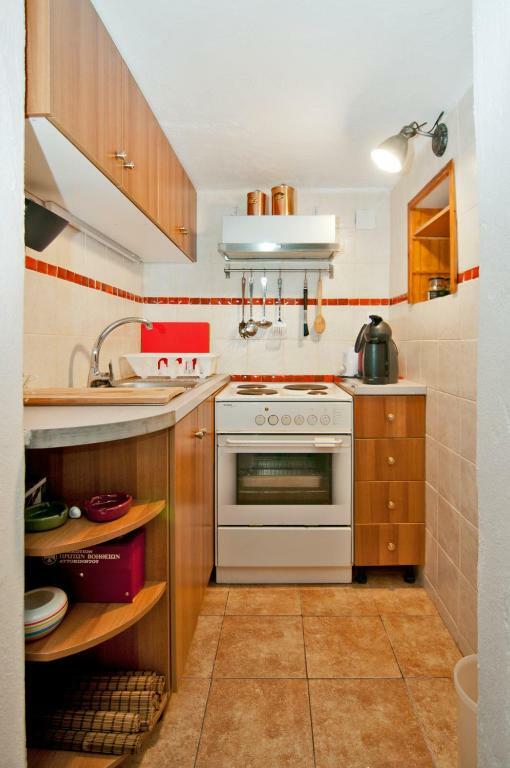 Close to beaches and main area with restaurants and bars. Quiet area nice to relax. Host very friendly and ready to accommodate guest request. It's a privileg to have the oportunity to stay at such a perfect place. One thing needs to be mentioned especially: The big trees create a wonderful outdoor atmosphere -thanks for not cutting them down during construction like most villa owners do. Locatia, ospitalitatea. Grija fata de detalii, utilarea casei cu tot ve iti poti imagina. Lock in a great price for Captain Mike's Villa – rated 9.7 by recent guests! One of our best sellers in Syvota! Located in Syvota in the Epirus region, Captain Mike's Villa features a terrace and sea views. 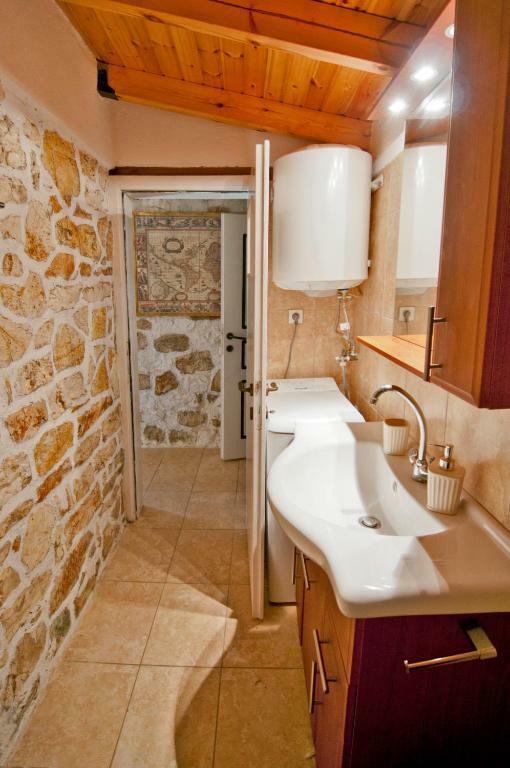 The property has mountain views and is 17 miles from Parga. 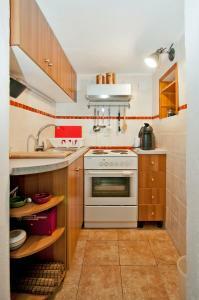 The villa features 2 separate bedrooms and includes a kitchen with an oven, toaster and dining area. The air-conditioned villa also provides a flat-screen TV, washing machine and a bathroom with a shower. Igoumenitsa is 16 miles from the villa. The nearest airport is Aktion Airport, 60 miles from the property. When would you like to stay at Captain Mike's Villa? Offering views over the islands of Paxi and Corfu, this stone villa is surrounded by pine trees. It has a toaster, satellite TV and patio. The sea is just steps away. Stone made residence crafted with personal work and tender, capable to host 6 persons with all modern facilities. With a unique view of Ionian Sea under the fresh shadow of great pine trees, just a few steps from the sea. 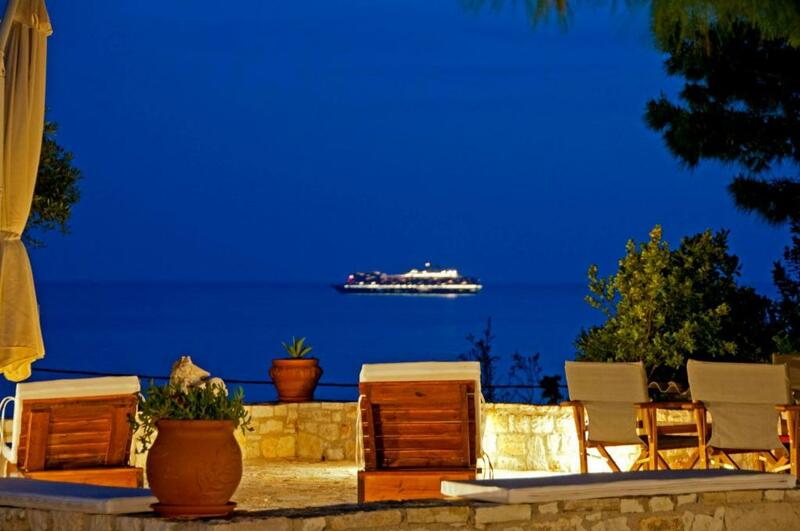 The location of the residence offers unique view to Corfu and Paxos Islands as long as the local gulfs and islets. Further more the stone made architecture and the great pine trees surrounding the villa will make your stay unforgettable. House Rules Captain Mike's Villa takes special requests – add in the next step! Guests need be quiet between 11:00 AM and 8:00 PM. Please inform Captain Mike's Villa of your expected arrival time in advance. You can use the Special Requests box when booking, or contact the property directly using the contact details in your confirmation.